Lunches are tough for me. I don't love your standard "lunch food". As a kid, I basically only ate PB&J (or honey). I really didn't like turkey or any deli sandwiches. These days I'll eat a salad for lunch but I can really only handle that one day per week. Soup is great in the fall/winter because it tastes better day after day and reheats great. But in a pinch, I usually end up with some sort of bar and call it a day. BUT! 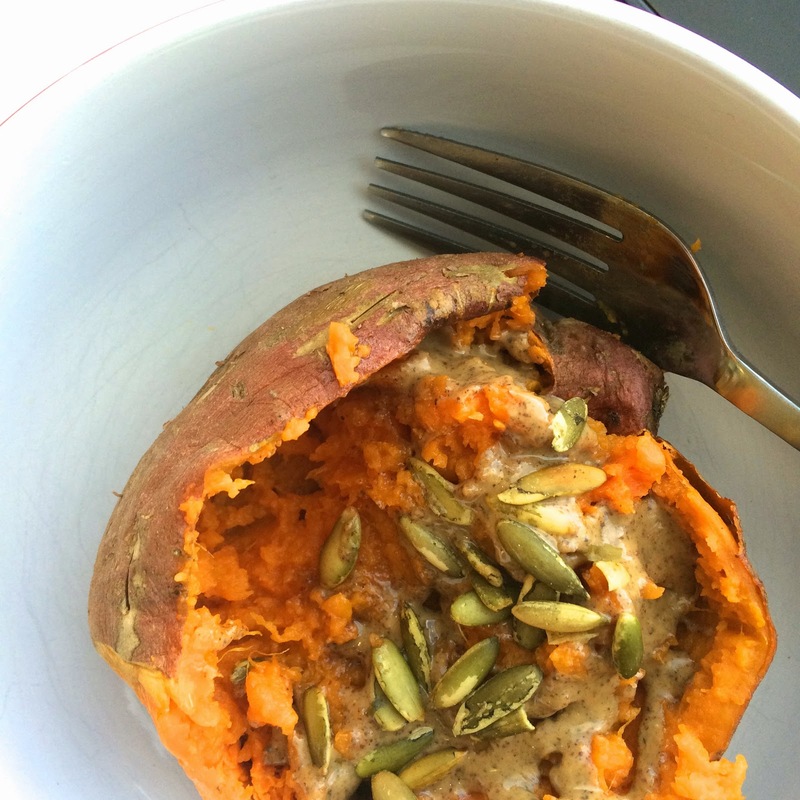 I recently discovered that you can microwave sweet potatoes and stuff them with all kinds of yummy stuff for a super easy lunch that can prepared right in my office! This is the perfect lunch for me because it's healthy, quick, versatile, and easy. You can top it with anything you have in the fridge. Wash and dry your potato. Leave the skin on. Place in a microwave safe bowl and cook for 4 minutes. Turn the potato over and go for another 3-4 minutes depending on how big your potato is. It should be soft to the touch. Split lengthwise and fluff the inside. 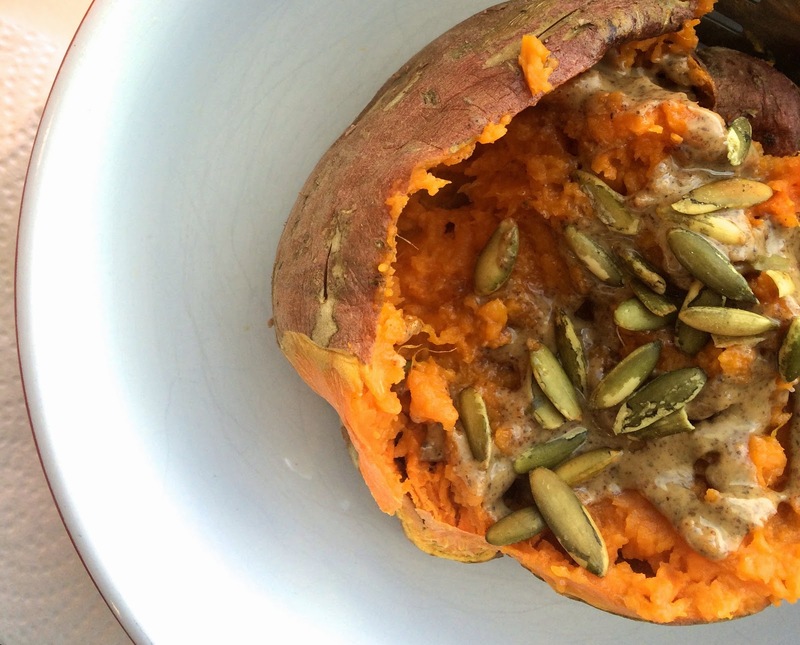 I topped this one with butter, salt, almond butter, and pumpkin seeds. I would also be delish with coconut butter and curry powder. Or some spinach and shredded chicken. Really anything!